Tag Archives: What’s my name? Voltron: Legendary Defender‘s Season 3 has come and gone already – pretty easy when the runtime of the whole season is less than three hours. With only seven episodes to satiate my needs for its particular brand of mediocre-to-promising character development and giant robot lions punching things, the obvious next step was turning to fanfic. And although the Voltron AO3 section can be like a kinked-out version of the Wild West on the best of days, I was lucky enough to find this character-centric gem after just a bit of searching. As my favorite Voltron fics often are, this fic is told from a trans!Pidge’s POV, and centers on her relationship with Shiro following the events of this season. Major spoilers for Voltron: Legendary Defender S3 below! 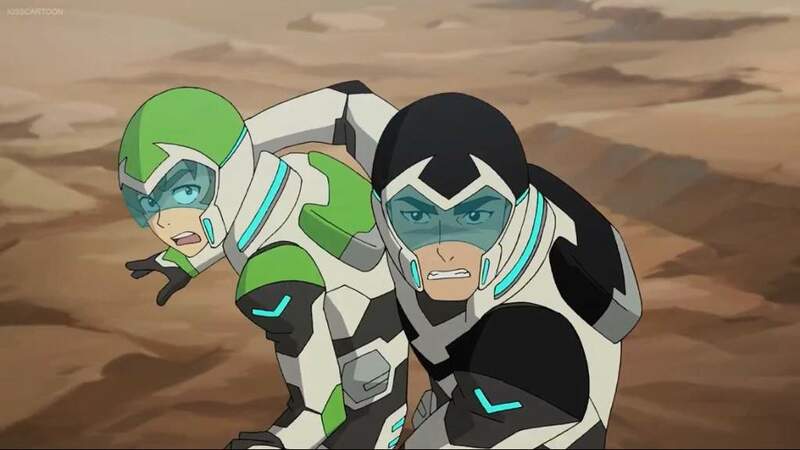 Posted in Cartoons, fanfiction, fanfiction fridays, Science Fiction, tv show	| Tagged greenglowsgold, katie holt, Pidge Gunderson, season 3 spoilers, Shiro, Takashi Shirogane, trans characters, vld, Voltron, Voltron: Legendary Defender, What's my name?